The working mum juggle is a difficult one. 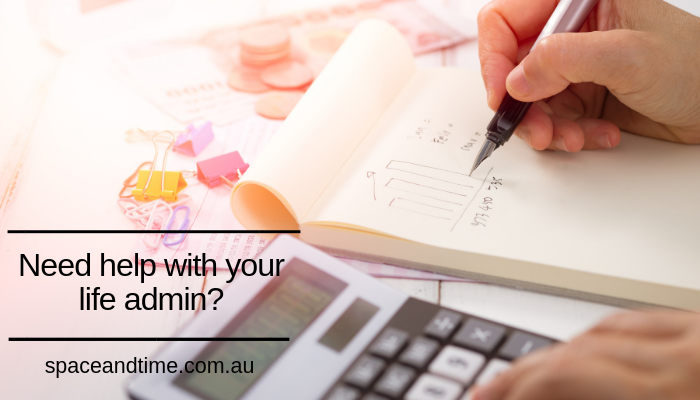 There is a huge amount of life admin involved in keeping a household running. After-school activities causing you stress; forgetting to pay bills leaving to long phone calls to have the electricity reconnected or a last minute dash to the shops to find a costume for the sports day after tears and tantrums. With some forward planning and priority setting you can take control of your life admin. Here’s how. Write everything down in a master to do list. Read more about How to write Master to do list in this blog. Use the Space and Time Philosophy of “make life simpler and more fun”. What’s the quickest and easiest way to get these life admin tasks done? Why not set up bills to be paid automatically via direct debit? Or try saying no to something that isn’t important. Make time to plan a head. I write about this a lot on this website and on Facebook and Instagram. I believe it is a huge part to being organised. Set up a regular time to sit and plan the week ahead. This blog “Plan your week with intention reduces stress and anxiety”, shows you the process step-by-step. Which bits on that master to do list can the kids take on? Which bits can your husband help out with? Which bits can your neighbours, friends or other family members help out with? Alternatively, find someone that specialises in life admin such as “Organise.Curate.Design” and get them to do it for you – yes, they will fill out your school enrollment forms and pay your dog registration. A consciously created routine to tackle your life admin tasks makes you feel in control and lessens the anxiety. I find a plan helps you feel accomplished and at the top of your game. And setting clear priorities help you work smarter and more decisively rather than procrastinating and wondering what to do next. I love to collaborate with working Mums to set up an energising weekly routine that includes all the life admin with running a household . Check out my services here, or reach out to me at info@spaceandtime.com.au and ask me questions about decluttering an organising at home to make life simpler and more fun. Who is Julie Cliff, Professional Organiser at Space and Time? The working mother juggle isn’t easy and can make life feel overly busy, stressful and overwhelming. Space and Time is a professional organising consultancy which helps busy working mothers live easier, far less stressful lives through simple, easy to implement organising systems to clear the clutter- both mentally and physically.